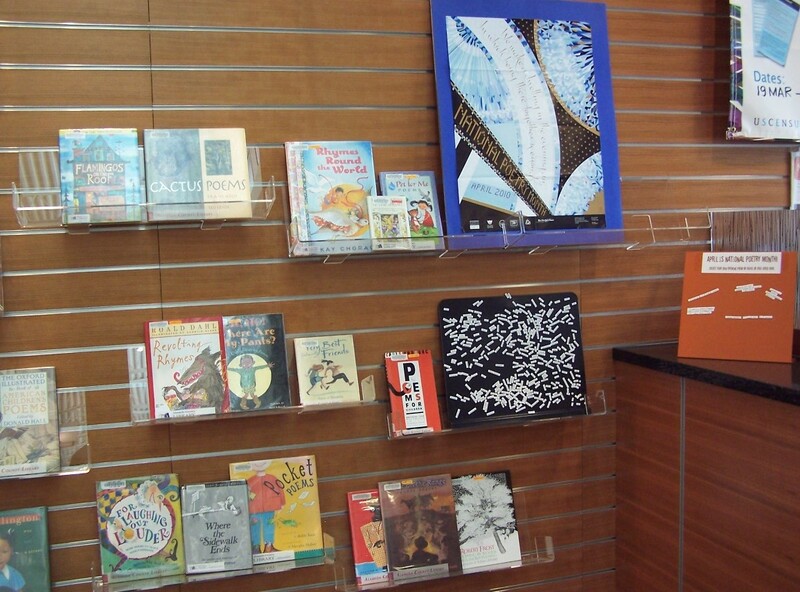 To celebrate National Poetry Month, we have many popular poetry books on display in the Marketplace area of the library. You can also create your own haiku or free verse at our interactive magnetic poetry board. And don’t forget to observe national Poem In Your Pocket Day on Thursday, April 29, 2010! 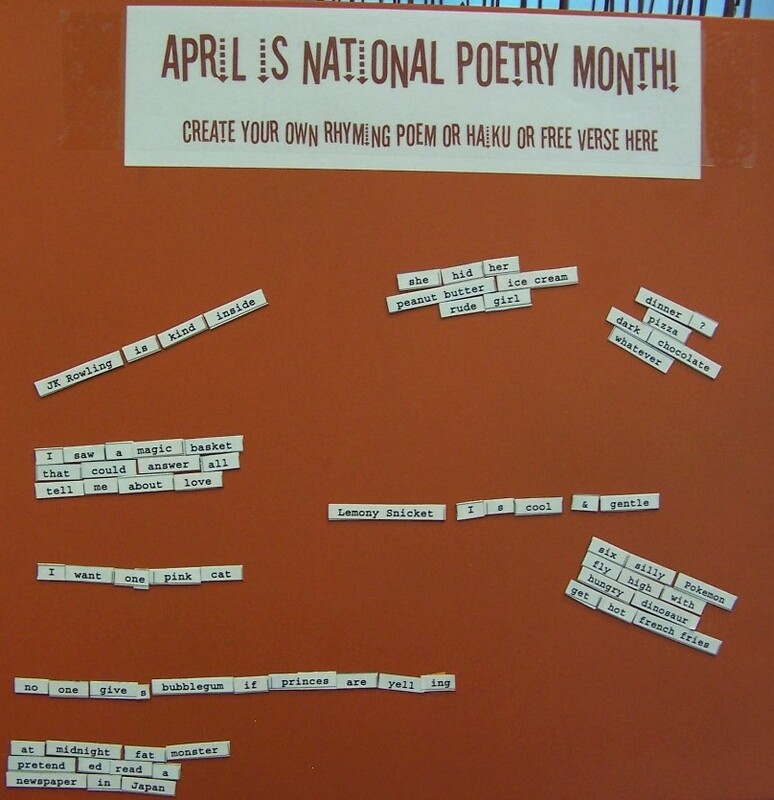 The idea is simple: select a poem you love during National Poetry Month and carry it with you to share with family, friends and acquaintences. 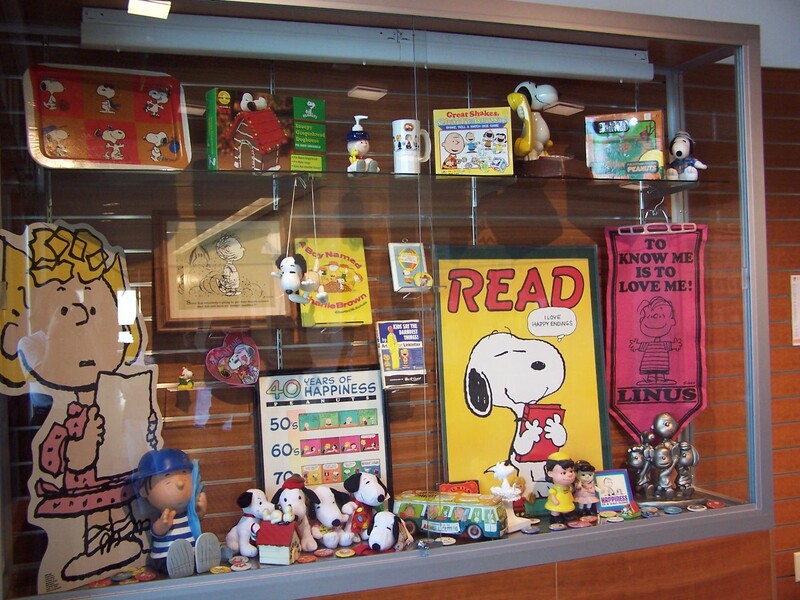 Check out the fun collection of both recent and vintage Peanuts items in our lobby display case. It will be certain to make you smile! 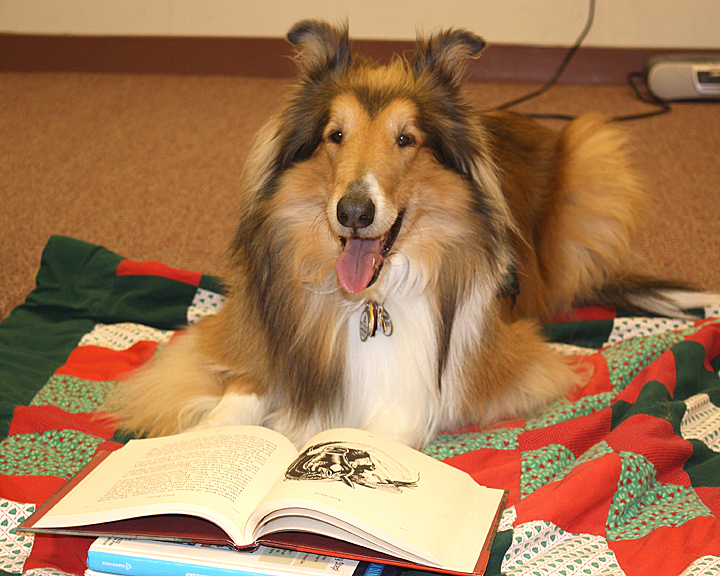 The Charles M. Schulz Museum has generously agreed to provide a prize for our Summer Reading Game again this year. Signups for the game and Kid Power training will both start on Monday, June 7th. Watch this space for more information about summer programs, the game, and its sponsors. Schools may be on break, but the Castro Valley Library is open! 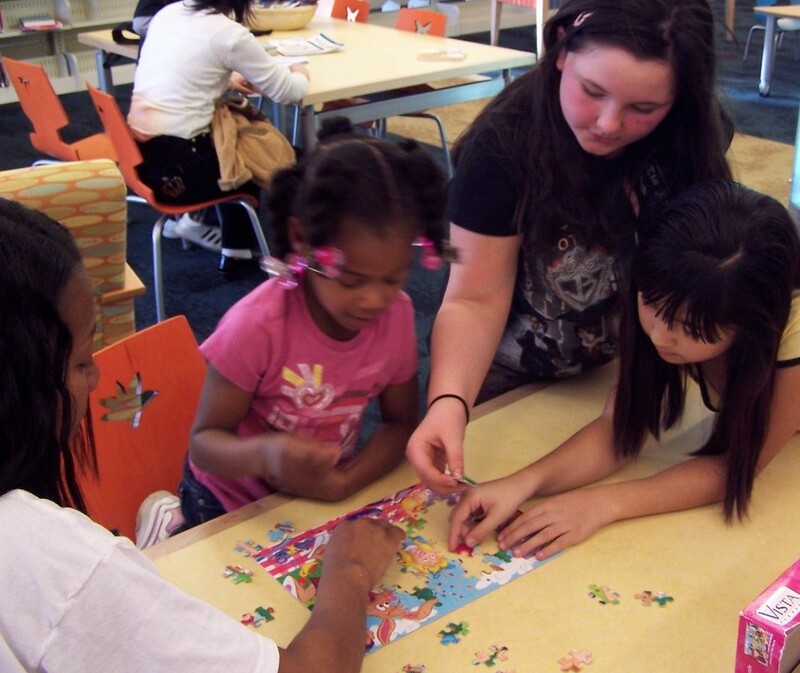 We always have games and puzzles in the Children’s Room just waiting for you to play with them. Twice this week, recently released-to-DVD movies will be shown on the big screen in the Chabot/Canyon Room at 1pm. Wednesday features Alvin and the Chipmunks:the Squeakquel and Thursday is Sherlock Holmes. There is no storytime on Wednesday April 7th, but if you are in the Children’s Room at 10:30 anyway, we may have a surprise activity! Theresa Jones of Early Start Music brought us a preview of classes called Music Together! that she teaches at various locations in Castro Valley and Hayward. She says that “Reading and music are friends”, and she showed a capacity crowd of kids ages 0-5 and their parents (and grandparents) what fun it is to have music in the library. We hope to have her return several times during the year to reinvigorate us all!